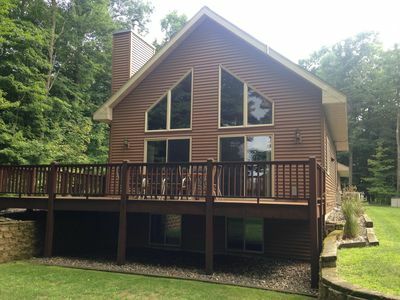 Come and enjoy the peace and quiet of the north woods in this private, 3bedroom/ 3 full bath, cabin on Eagle Lake in Eagle River, WI. 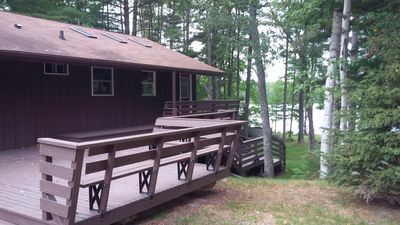 Eagle Lake is part of the 28 Lake Chain. 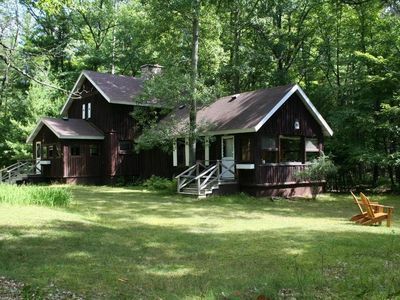 The home sits on beautiful wooded property on Eagle Lake. 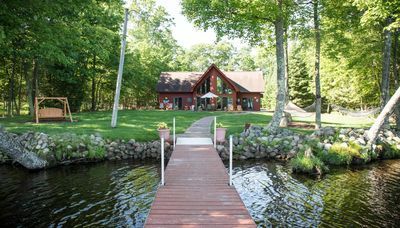 Serenity awaits you at this unique property situated on the shores of one of the area's most sought after lakes that features breathtaking views and great fishing. 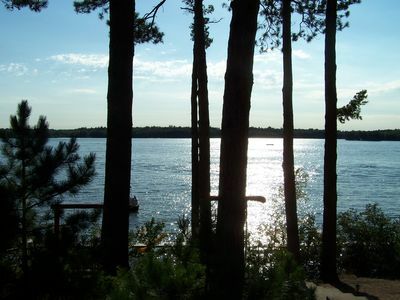 This lake is so desirable because it is part of the largest inland water chain of lakes. 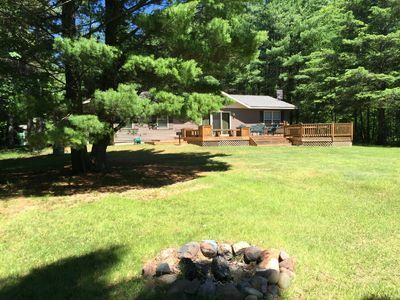 Large redwood pines and oak trees surround the property. Eagles nest in trees all along the lakefront. You will be amazed at the incredible sunsets from the western exposure and the kaleidoscopic light shows from the northern lights. 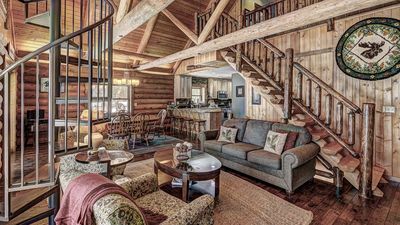 This large, cabin allows you and your guests to enjoy each other's company and still have privacy when needed. Bedroom #1 has a full log bed and a twin bunk bed. Bedroom #2 has a full log bed. 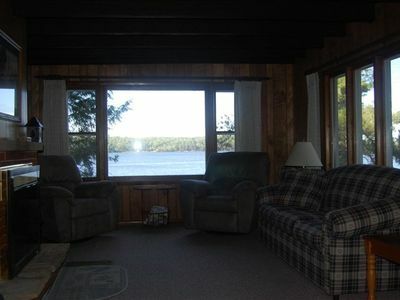 Bedroom #3 has 2 sets of log bunk beds both are Full over Queen. 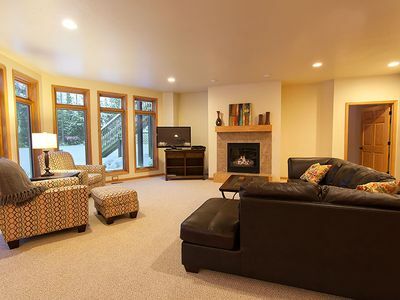 This beauty has a magnificently spacious great room with 3 sofas, a large dining table, long breakfast bar with bar stools, and 3 full baths. The kitchen is fully equipped for any gourmet chef and the main level affords dining for 16 people. 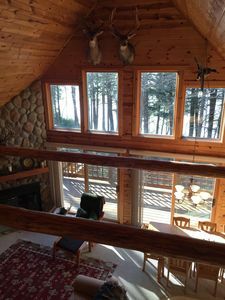 Sleeps 16. 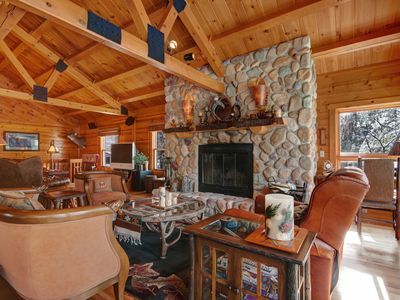 The cabin is rustically enhanced in the Northwoods theme by the full log furniture. Play all day in and on the water. 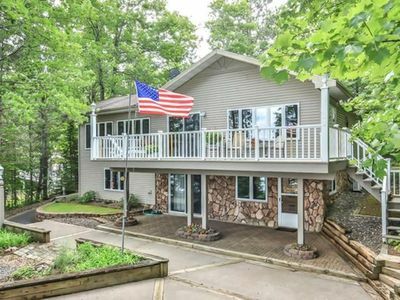 Go restaurant hopping while touring the multiple lakes on this 28 lake chain. 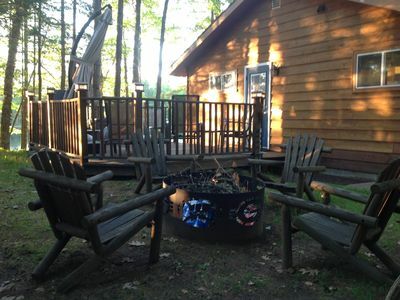 Sit out on the patio and enjoy your morning coffee or evening refresher and listen to the peace and quiet. 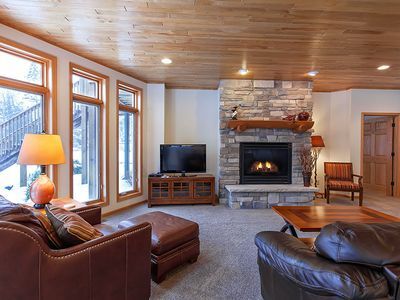 Year-round pleasure at your beck and call; all season sports available at your door, from active water sports, to snowmobiling, cross country skiing, ice skating and downhill skiing. 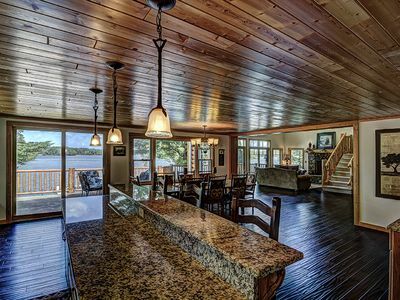 The home offers a large, permanent dock for your water toys and entertaining enjoyment. 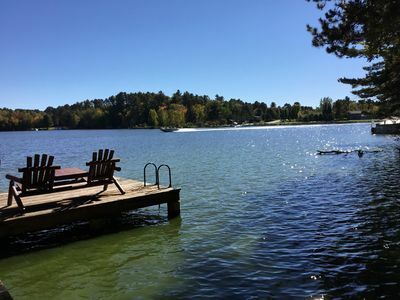 This area of the lake has a sandy bottom with a gradual drop off. Great fishing and boating lake. 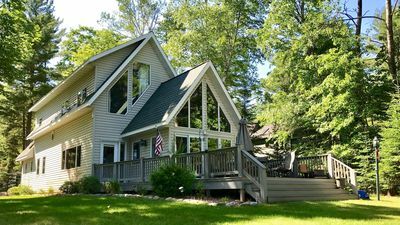 If you desire to cruise the Eagle River/Three Lakes 28 lake chain, just launch your boat at one of the public launches in Eagle River, approximately 5 minutes from the cabin. Brule Ski Hill is just 35 minutes away. 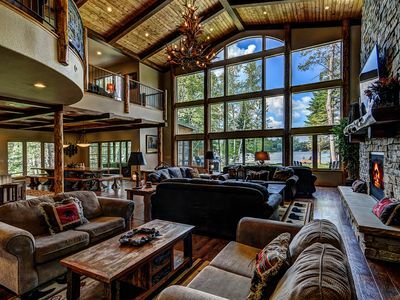 Nostalgic and comfortable home on large two connecting lakes. Pier with boat. 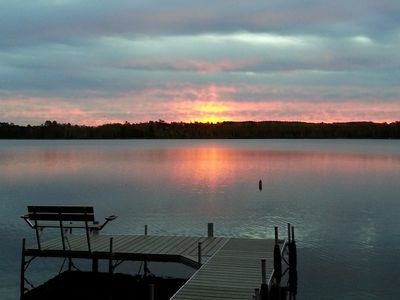 UpNorth at it's best. 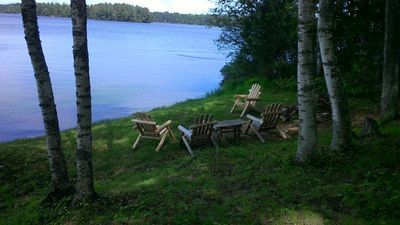 Relax and fish on a private lake. Enjoy beautiful sunsets. 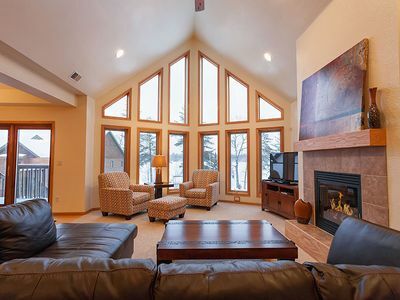 Beautiful Stormy Lake Home .Incredible lake views!